Comment | Who’s (still) afraid of Emily Wilding Davison? 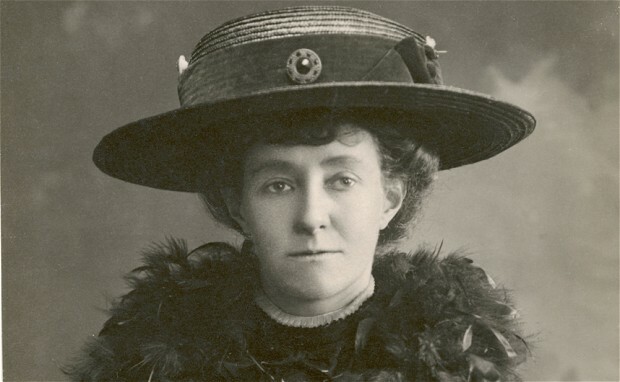 As the centenary of heroic suffragette Emily Wilding Davison's death approaches, a campaign is under way for it to be marked with a minute’s silence at the iconic Epsom Derby horse race. Unsurprisingly, the proposal is being resisted by the very same Establishment that tried to crush women’s rights back in 1913, argues Yvonne Ridley. Emily Wilding Davison was fatally injured when she deliberately ran onto the track during the 1913 Derby horse racing event and was knocked unconscious by the flying hooves of King George V’s horse Anmer. Acting on the suffragette slogan, ‘Deeds not Words’, Davison’s protest against the refusal of Britain’s rulers to grant votes for women turned her into a martyr for democracy and women’s rights. Despite newspapers writing off her actions as those of a suicidal, mad woman, Emily’s intentions were far more noble. She was trying to raise awareness about women’s rights and equality by pinning the colours of the suffragette movement onto the horse. Isn’t it ironic that while the male-dominated media, government and establishment of the day tried to silence the demands for women’s rights, officials from the male-dominated racing world are trying to do the same a century later? In some ways it would be unfair to hold the men in tweeds and trilbies at Epsom Downs Racecourse directly responsible, since the influence at the very top of the racehorse fraternity trickles down from the Royal Household. Add Her Majesty’s displeasure to that of sponsors, commercial interests, the Jockey Club and the police – to name but a few who were consulted – and you can see why there is absolutely no support for the minute’s silence from any of the Derby stakeholders. Could it be that there is still very little enthusiasm in the Royal Household for a revival of the the spirit of Emily? Supporters of the Emily Wilding Davison Memorial Campaign, the movement set up to commemorate the centenary anniversary, will be pleased to know they do have some powerful allies in the arcane world of horse racing. Sally Rowley Williams, founder of Women in Racing and one of the most influential female figures in the industry, is baffled by the industry’s position, saying “It’s a tragedy that should be acknowledged, at the very least, by a minute’s silence. She was an important figure and I’d like to think that, in this day and age, such a historic event should be acknowledged. A minute’s silence seems like a pretty small gesture but one full of meaning”. Williams says she is “baffled as to why it’s such a problem or even an issue,” pointing out that “at a football match it happens, so I don’t know why racing doesn’t embrace this. I’ve witnessed moments of silence at big football matches and I think it happens at rugby games as well”. At a recent meeting, the centenary campaign co-ordinator, Katherine Connelly, and Elly Badcock, the campaign’s press officer, put their case for the one minute’s silence to Rupert Trevelyan, the London Regional Director for Jockey Club Racecourses, and Johnno Spence, the Director of Public Relations at Epsom. At the meeting it was agreed the campaign could present its case at the next stakeholders’ gathering. However, that offer was mysteriously withdrawn shortly afterwards and the campaigners were informed that the plan for a minute’s silence had been rejected. I put this to Johnno Spence, at his London PR headquarters in leafy West London, and asked him why the racecourse was refusing to mark the centenary event. “’Refused’ is a bit of a strong word. We are unveiling a plaque on the 18th of April and her great, great, great niece is coming to unveil it for us. You’re very welcome to come,” he replied enthusiastically. The truth is that, a hundred years on, we as women are still facing inequality and oppression. It’s vital that the sacrifice she made in the fight for democracy and women’s rights is never forgotten. The Emily Wilding Davison Memorial Campaign, has been set up to campaign for a minute’s silence at the 2013 Derby Day in her memory. Activists include Bonnie Greer, Miriam Margoyles, Frances O’Grady, as well as several trade unions including the NUT, UCU, UNITE and the WEA. It is a safe bet these committed activists – both men and women – will make sure that the spirit of Emily will be remembered on the centenary of her sacrifice … with or without the blessing of the men running Epsom Downs Racecourse. If your search is not taken into consideration, in my opinion you should continue. One day other men will pay to Emily Davidson. Thank you for your courage. Amazing. You are a demagogue for Islam which relegates women to a second class status. Unsurprisingly you relish the accidental martyr Davison, as usual stimulated by murderous nihilism and the disposal of an unwanted self. Truly a mental aberration. @John – typical of the sort of response I’ve come to expect from Islamaphobes … and a misogynists. You’re amazed but I am not surprised.